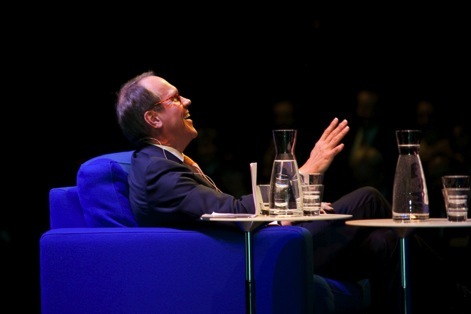 Jorma Ollila is the main catalyst behind the creation and growth of the Nokia Foundation. He saw the need to create a foundation that would focus on telecommunications research in the broad sense of the term. This was at the time when the digitalization of wireless communications was emerging and about to create the conditions for fundamental breakthroughs in technologies, usage and business concepts. Jorma Ollila clearly saw the need to strengthen Finland’s knowledge base in this emerging area. Jorma Ollila was the influential force behind the establishment of the Foundation, and he later went on to strengthen Nokia’s position in line with the growing needs of Finland’s national research activities. His devotion to the activities of the Nokia Foundation has been instrumental in its success. His contributions have enabled the Nokia Foundation to become a major platform for an annual social gathering of leaders from Finnish academia and the government, as well as from other Finnish organizations related to the Finnish telecommunications and research community.